The Landmark Apartment Homes is your apartment community of choice, offering a relaxing atmosphere in the most convenient location in Sunnyvale, CA. 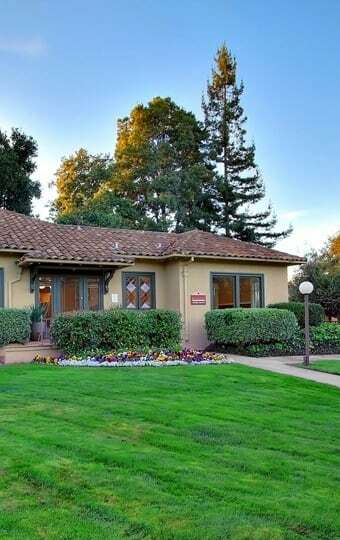 Although located in a very quiet and secluded residential area, we are only minutes from a variety of great dining options, and the outstanding Sunnyvale school system. Many Landmark Apartment residents want to experience the community's arts and entertainment options and Sunnyvale provides an exciting array of options for your entertainment needs. Our Downtown Sunnyvale apartments near Sunken Gardens Golf Course offer a variety of events, arts and crafts, live music, parades and festivals, sporting competitions and live entertainment. Outside of the vibrant and active neighborhood, the nearby community offers a variety of parks so you can get outdoors and relax in nature. Go for a run, get outside and throw the frisbee with friends, the opportunities are endless in the Downtown neighborhood of Sunnyvale. As luxurious as your gourmet kitchen at The Landmark Apartment Homes may be, sometimes you just want to hang up the oven mitts and relax at a nice restaurant. The Sunnyvale area offers a variety of both fine and casual dining options. At our friendly apartment community, it's not out of the ordinary to ask your neighbors for dining suggestions. Your life is what you make it at The Landmark Apartment Homes and our neighborhood makes it easy to see just how good your life can be.